Autoship every 1 Month 2 Months 3 Months 6 Months 6 Weeks 5 Months and save 15% on your first order! What's this? What do customers like best about Allertrex? Why is Allertrex a great lung cleansing product? What are people saying about Allertrex? Scientific America warns that a baby crawling on a normal floor inhales the equivalent of 4 cigarettes a day from out-gassing of carpets, dust mites, molds and mildew, fungi and other toxic chemicals. According to the EPA, SIX out of TEN homes and buildings are "sick" and hazardous to your health due to airborne pollutants. Allergen levels in super-insulated homes are 200% higher than in ordinary homes. Over 6 million people in America are allergic to the pets in their homes! Allertrex is the only lung cleanse product on the market which uses a Spagyrex® processed blend of powerful herbs and essential oils that support normal function and detoxification of the lungs, sinuses and respiratory tract. These herbs work synergistically to soothe irritated tissue and promote optimal breathing. Allertrex is the result of ancient wisdom combined with herbal alchemy (the power or process of transmuting a common substance, into a substance of great value) reinterpreted in the light of modern day herbology. Allertrex is based on our Spagyrex process which was invented during Dr. Group's research into the basis for vibrant health. He found that wellness is lost when the body becomes with toxins and its own internal self healing mechanism is suppressed. These toxins come from air, food, water, beverages, harmful organisms, stress, radiation and other sources. Thus began his journey to create the most powerful herbal lung cleanse and respiratory support product available. It all started by studying the works of the most famous 16th century healer, scientist and alchemist, Paracelsus. Paracelsus, composed the word Spagyria (Spagyry), which means to extract (spao) and combine (ageiro). The word was used to describe the process and power of transmuting a preparation of herbs into an elixir of health and longevity. 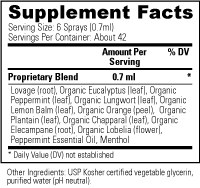 This process does not change the essences of the herbal ingredients, but enhances bio-availability and effectiveness. 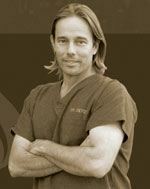 Using this technology and new advanced procedures, Dr. Group created the Spagyrex process, a revolutionary, multi-step, proprietary alchemy and spagyry-based processing technique. This follows the principle of separating and recombining all the elements of an herb, to extract the most powerful essence of its healing nature. This results in a Harmonious Organic Supercharged Extract. Made in the USA from globally sourced ingredients using eco-friendly sustainable manufacturing. 1. Are there any side effects from taking Allertrex? We have not had any customers complain of any side effects from taking Allertrex. 2. Is Allertrex good for sore throats or sinus congestion? The herbs in Allertrex have been researched extensively for their ability to promote upper respiratory health. 3. What time of day should I use Allertrex? Allertrex can be used anytime during the day to assist breathing or when respiratory conditions are present. It is great to use in the morning and before bedtime. Don't smoke! If you do smoke, quit. Consume lung cleansing foods like cayenne pepper, plantain leaf, and pistachios. Reduce the pollution in your home or invest in an air purification unit. Castor oil packs, similar to vapor rubs, help draw toxins out of the body and promote lung function. Get Started Today & Discover How Lung Cleansing Can Boost Your Health and Wellness... Or Your Money Back!! Can Allertrex be used in an inhaler or vaporizer? Do I need to perform additional cleanses before I perform a lung cleanse? What's the difference between a sympathetic and parasympathetic condition? Because the spray is already designed to deliver a micronized serving, the use of an inhaler or vaporizer should not be necessary. Full body cleansing, which includes colon, liver, harmful organism, and chemical and toxic metal cleansing, is not necessary but provides many added benefits. Our customers who perform the 9-Step Body Cleanse report the best results. Your sympathetic nervous system provides the "flight or fight" response which allows you to adapt to conditions of anxiety or stress. Stressful situations such as work, child care, money, and the future are common. When your body is in a sympathetic state, it releases adrenalin into the bloodstream. Once the stress reaction is gone, the person can feel exhausted. When people take supplements in a sympathetic state of anxiety or stress, their digestive process and ability to metabolize supplements slows down. Your parasympathetic nervous system is responsible for healing, recharging and repairing your body. When people are relaxed they enter into the parasympathetic state which can improve the effectiveness of the supplements they take and their ability to deal with stress. Deep breathing can transition a sympathetic state into a parasympathetic state in under 2 minutes. To calm your body, sit in a quiet area, close your eyes and take nine deep breaths from your belly all the way up through your lungs. Breathe in through your nose and out through your mouth. Perform this exercise before taking each serving of Allertrex.